The Big Beyond tells the story of space travel using a catchy rhyming text. 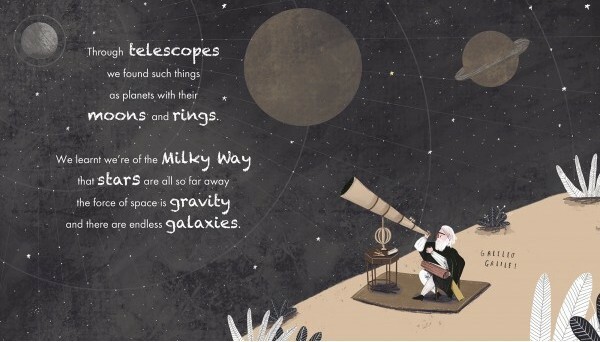 We love the way that poetry and non fiction are combined to introduce children to the naming of the stars, the development of rockets and important events in the history of space travel. This is the perfect picture book for budding astronauts. The Big Beyond starts with questions people may have asked before they were able to fly. It looks at the first rockets which started going into space in 1957, they have taken various different animals into space as well as people. It also highlights one of the most famous historical events in space – Neil Armstrong and Buzz Aldrin’s moonwalk which took place 50 years ago this year. Since 1961 when Yuri Gagarin went into space, satellites have been developed and scientific trips to other planets have been undertaken – the final double spread shows a diverse group of children who could all grow up to become astronauts. A final Let’s Look Into… page gives information about rockets, their history and some of the people and animals who have visited space. Using simple rhymes we are introduced to vocabulary such as galaxies, gravity, satellite, astronaut and probe. Fascinating facts include the name of the rocket that took the men to the moon and the names of the dogs and cats who have also been into space. It’s interesting to see how space travel has developed and important milestones, I learnt a lot from the book too! We are also introduced to the people who have made history through their discoveries and space adventures. Aaron Cushley’s illustrations are vivid and atmospheric and we love the expressions on many of the characters’ faces, particularly the two star gazers and Felix the cat! The picture of Neil Armstrong and Buzz Aldrin walking on the moon is fabulous, it looks almost 3D. 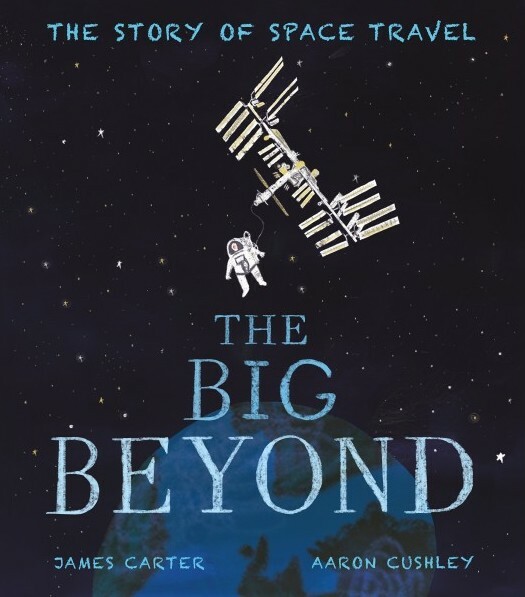 The Big Beyond is a brilliant book to accompany a space topic in school, it provides a fascinating but simple introduction to the history of space travel. It would be a great addition to an Early Years classroom or school library and may introduce adult readers to new information too. It even inspired us to watch a video of the moon landing! I think that introducing non fiction using rhyme is a fabulous way to keep children’s interest, it’s a simple rhyming text that can be read with very young children too. There may still be facts about space travel that you son doesn’t know, we found the whole history from the first rockets up until now absolutely fascinating! This sounds like an awesome book. Space is endlessly fascinating to kids (and adults). I suspect I would learn something from the book myself!